So I'm pretty much in love with them. I've tried about four of the seven they make and I keep going back. They've really been the only mascaras I will use until the tube is empty; I NEVER do that! The prices are amazing since the mascaras range from $4.69-$6.99, there's about five colors to choose from, and you can get every formula in waterproof if you want (I dont like waterproof so I've never tried those out). (I use the straight brush kind) This stuff is pretty darn cool. Plumps up my lashes and makes them twice as thick, just like the packaging says. 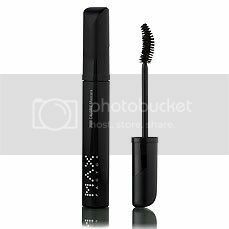 It gives me really nice length without making my lashes look spidery and the only times I've had it be clumpy are the times when I'm yanking the wand from the tube and trying to put it on in three seconds; other than that there's zero clumps. Smudging and flakiness aren't a problem with this at all! The only thing I dont really like? Makes my freshly curled lashes stick-straight in a half hour. MY HG!!!! This is my favorite. I wear it in all my FOTDs and love love love it. It gives amazing length and I've never had a clump even when I'm trying to put it on at the speed of light. Doesn't flake but I do think it runs off more easily than 2000 calorie when your face gets wet. It gives me okie volume on it's own but since it doesn't claim to give super volume and I curl my lashes anyways, I don't care. When I do curl, it doesn't deflate my lashes and they remain curly for a good 6 hours. Such a good basic mascara for everyday and for less than $5 it's even better. 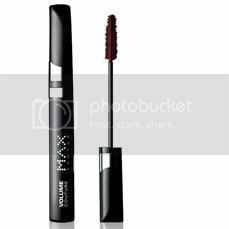 This was the first MAX Factor mascara I bought. Again, like all of these mascaras, this one never clumps. 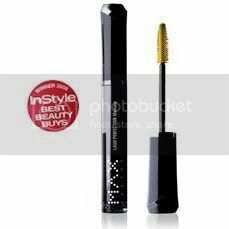 It has the same kind of plastic brush that lash blast, define-a-lash, lash exact, etc. have but without the blunt tip so you can easily reach every lash. Damn it gives good volume! When I use it, I sometimes don't curl because it can look a bit over-dramatic for simple looks. Volume is the only thing it's super awesome for since it just gives decent length and not so good thickness. Zero clumps of course along with no flaking or smudging. The definition is wonderful and you can really see how it seperates and fans out every lash. 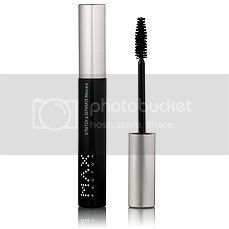 It's an all-around good mascara since it does well with thickness, length, and volume. But it's not OMGWOW! on any distinct catagory. Still, it's really great. thanks darlin! this totally helped. if I see the waterproof ones in walgreens I'll give these a shot. I love the 2000 calorie and masterpiece one. Max factor make great mascara. i really wanna try thw volume one! but i bet that they're not sold anywhere in newfoundland! Jenna, I bought a waterproof version of Volume couture, for the beach tomorrow!